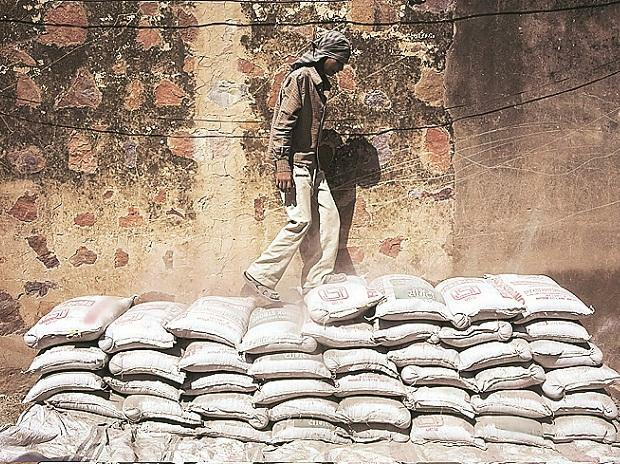 Cement companies in the south are expected to outperform in the short-run as prices in the region have improved by Rs 30-70 a bag. If prices remain high, these firms would see an improvement in earnings, said an Elara capital research report. Cement prices in Hyderabad alone rose 28 per cent by Rs 60-70 a bag in the past few weeks. If current prices are to sustain, then South-based firms, such as Orient Cement, India Cements, Ramco Cement and Sagar Cement would see a sharp improvement in earnings in the range of 65-147 per cent on year over the next few quarters, said Elara Capital. Historically, high prices in South India have sustained for 6-24 months. In the fourth quarter of 2014-15 cement prices in Hyderabad increased 43 per cent YoY while the market cap of South-based firms had gone up in the range of 62-293 per cent. EBITDA had risen in the range of 82-250 per cent. With no major capacity additions expected and if demand continues to keep up momentum, the cement industry in the South hopes for better growth in the near future. “RBI has also cut the repo rate in a bid to boost consumption. This is expected to further improve construction activity and increase demand for cement in the coming years. The industry can see good times ahead,” said N Srinivasan, Vice- Chairman & MD, India Cements. He is also the former President of Cement Manufacturers’ Association. He added that there is a pick up in cement demand due to increasing consumption in infrastructure, irrigation and housing projects and capacity utilisation is going up. In view of the growing demand and higher capacity utilisation (rose to 70 % from 67 % end of last year), prices are going up. The industry had higher capacity utilisation back in 2007-08. After a long time, there is a turnaround in demand, he said. Ramco Cements chief executive officer AV Dharmakrishnan said prices were down by Rs 25 in January 2019 compared to January 2018 and increased from February, both year-on-year and month-on-month. Moreover, high demand due to infrastructure projects like Amaravati in AP, irrigation projects in Telangana, new metro projects in cities and the government’s low-cost housing schemes in the east have reduced discounts. He cautioned about the increase of other costs, mainly fuel, which may put pressure on profitability.